To send their child abroad for higher education is one of those dreams that every Indian parent cultivates. One of the reasons is the rather low quality of education imparted in Indian institutions, the other being the huge demand that firms and companies in India (both MNCs and local Indian companies) have for foreign degrees. But dreams of more than half of such parents are shattered because of the inability of sending their children abroad which may be attributable to shortage of funds or due to lack of knowhow on the subject. Also, the next big hurdle to be crossed is to decide the institutions to be targeted. Of course, while you're doing that, you're supposed to keep a zillion things in mind. To name a few, you have to ensure that the country you want to send your child to further his or her studies is safe, ensures freedom and equal opportunity, the cost of living is affordable, the quality of education imparted is and most importantly, how happy and fulfilled your child will be in this foreign country, throughout his or her stay. Among all the countries that we ran a scan on, we're glad to share with you that New Zealand is our choice as the best country for foreign education. And moments to come, you'll know why. In the question of what is more important – life or career – my answer has always been and shall tend to remain that way forever – life. Of course career has its own importance but what will be a person like with a flying CV on the outside but a depressed individual on the inside. What is important is a healthy individual first, before being a productive one. 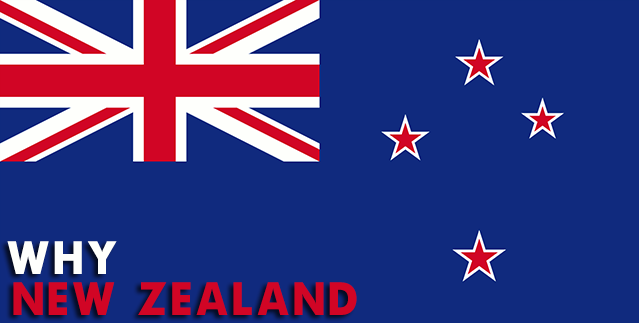 Life at New Zealand is fun and the people of New Zealand, who are also popularly called the Kiwis, won't let you down. These are fun loving people and perhaps the most welcoming ones. The reason for this is that Kiwis (by which I mean the people) travel a lot and almost a lakh of students arrive to New Zealand every year, which means that the Kiwis are in a habit of having new people. They love meeting new people and making new friends so they're going to treat your child like a friend. Perhaps you're unaware that one of the best things about New Zealand is the small population. You'll be amazed to know that there are only about 4 million people, meaning just 40 lakh people, which is less than half the number of residents in the State of Bihar. So you're not going to have to worry about your child the same way had he gone to New York or Shanghai, let's say, for that matter. Another added benefit is the place doesn't feel overcrowded and yet, the diversity in here is more than most European countries. New Zealand is almost as big as the Great Britain and yet, it's got everything a child consumed by wanderlust can ever dream of. Besides lush green hills, you have a number of rivers, so accessible you couldn't have ever enjoyed more. For example, the Waikato River that passes through Hamilton (which also happens to be the longest in the league) has some beautiful bridges built over it. Besides cooling a hydro-electric power station, the river also offers a number of recreation activities that your sports-enthusiastic child is going to love. Besides, New Zealand is also home to some of the world's most beautiful beaches you could visit ever. New Zealand has about 9000 miles of coast line. Erm, were you speaking of beaches? Well, you've just added on your itinerary some 100 additional places. Yeah, there are over a 100 beautiful beaches here, each as though custom-tailored for men with different temperament. From the ones with rocky shores to black and white side, you have natural hot springs to whatnot. And your child who had been dying to go to Goa (no offence meant to the people of Goa, I myself love the place) will have his piece of heaven on earth. Speaking of climate, 'temperate' is the best word that occupies my mind. The winters aren't the chilliest and the summers aren't scorching. December through to February, you'll witness a dry summer with temperatures ranging from 20 to 30 degrees while June to August give you winters with temperatures falling between 10 to 15C. Not to mention, the winters are sometimes coupled with mild showers. Well, that's what you get living close to the coast. When I think of a place among all the ones that I have visited, Bangalore features at number one on the list for a place that has similar temperature. And should you wish to know more about what the people of Bangalore have got to speak about the weather in Bangalore, go ask them and you'll find out. Although New Zealand cannot be endowed with the adjective of 'huge', it doesn't lack in offering you a million things to do while you're in here. Flying with the Kiwis, you get to explore mountains, hike and whatnot. And this place is a heaven for whitewater kayaking enthusiasts. Besides, this country offers you a zillion different sceneries, catering to the mood swings of the traveler. You've got pubs, malls and some of the best places to eat in the country within distances that could've never been more accessible. New Zealand is a place that welcomes people from around the globe. And to be able to cater to their satisfaction, New Zealand gives them an incredibly stable economy. So that means prices of onions and bread isn't going to hike just like that for no reason (which tends to happen so much in most parts of the world). Besides, being a small country, the Government is also quite stable and seems to be more interested in work than in argument. Talking about safety, the crime rate here in New Zealand is much lower too and justice delivery is speedy. Okay, when we are talking about sending our children overseas for higher education, the first and foremost thing that comes (at least in my mind) is whether the cost of living be affordable or not. Not to mention the huge investment that the government of New Zealand puts into the education sector. To begin talking about costs, let's say that New York was rated the world's 16th most expensive city to live in while Los Angeles was at the 62nd position in the Mercer 2014 Cost of Living Survey. At the same time, the biggest city in New Zealand, Auckland (which is home to the best universities in New Zealand) ranked at 58th and the capital of the nation, Wellington was ranked at 75th. Even though the figures favor New Zealand, I'll be brutally honest to you. Comparing the cost of things in USA and New Zealand, let's say that there are some things in the USA that definitely cost higher than in NZ while at other things, maybe NZ won't be too friendly with you after all. But one of the biggest things, rental, if you are to travel to a country far off from yours. The cost of rental in New Zealand is 18% lower than that of the USA. In fact, this gap might increase if you were to go live in the suburbs but then that has to go hand in hand with the distance from the university your child is going to visit. If you want the specifics, here is what I have to say: I have for you here a first-hand migrant tale that tells you that there's a huge difference between US and New Zealand in the amount that you will spend in a year living in the two countries. The difference quoted by this person is something close to US $30,730. He has taken into account the following criteria while making the additions: Net income, Rent (per week), electricity expenses, Internet, car payments, insurance etc. It is clear from his comparison (if you want to keep aside the many different expenses that you might incur along the way) that actual living in the New Zealand is quite more affordable than in countries like the US. And if you want to talk about the cost of tuitions, then that might be a concern because the tuition fee expenses in the New Zealand and the US almost coincide. However, if you look at this data here then you'll learn that there is a huge difference of $5000 in the minimum annual course fee between the New Zealand and the United States. Yes, education in New Zealand is no cheap but then, scholarships might come to your rescue about which I will deal in the sections to come. Also, you must bear in mind the huge investment that government puts into the education sector. So if your child is lucky and if he deserves, money shall not come in the way of your and his dreams of overseas education. If you aren't aware, comparing the amount of money (I've spoken about this earlier in this article too, if you haven't noticed already) that the governments of US and the NZ spend on education, you'll learn that NZ government spends a whopping 29% more than the US government. Of course, don't forget the difference in the GDPs of the two nations but even then, this huge difference is felt in the kind of scholarships and other benefits that are given out to international students arriving to New Zealand for higher studies. According to the data by NationMaster, New Zealand is on 5th rank while the US is at 39th when it comes to the proportion of GDP that the two nations spend on education. If you want to say that education in New Zealand is all about scholarships, you won't be necessarily an idiot (although, you may be in other parts of the world). Talking about scholarships, they are offered by the government of New Zealand as well as some of the most reputed universities of the country. The New Zealand Development Scholarships is offered to international students from selected developing countries to study in NZ to gain knowledge through PG courses in subject areas (especially those relevant to the sustainable development needs of the student's country) through which the student will be able to contribute to the development of his home country. This scholarship is available for PG certificate courses (6 months), PG Diploma courses (1 year) and Masters Degree (1-2 years). Applicants must be a minimum of 18 years of age at the time of commencement of the scholarship, be a citizen of the country from which he/she is applying for this scholarship and will have to agree to return back to his home country at least for 2 years on the completion of the scholarship. Although I was quite delighted to tell you about this scholarship, what makes me sad is among the Asian countries, India doesn't fair in the list of the countries to whose students this scholarship is targeted to help. This is an international program under which member governments offer scholarships and fellowships to students hailing from other Commonwealth countries. Established in 1959 at the first Commonwealth education conference, this scholarship has received recognized from over the word. As part of this program, the government of New Zealand offers scholarships from developing Commonwealth countries for PG courses (Master's and PhD) in the universities of NZ. The Commonwealth scholars can study at any of the following universities in NZ: Auckland University of Technology, University of Waikato, University of Otago, Univ. of Canterbury, University of Auckland, Lincoln University, Massey University and the Victoria University of Wellington. And I'm glad to tell you that students from India are eligible to apply for this scholarship. The NZIDRS happens to one of the most talked-about scholarships offered by the government of NZ. The government through this scholarship aids international students to undertake Doctorate studies at the following participating universities: AUT University, Lincoln University, Massey University, University of Auckland, University of Canterbury, University of Otago, University of Waikato and Victoria University of Wellington. As part of this scholarship, deserving students have their tuition fees and associated student levies covered for three years. Apart from this, an annual stipend of NZ$25,000 is provided to the students having won this scholarship. Also, they are provided a medical insurance coverage up to 600 New Zealand dollars annually for 3 years (for free). Glad to tell you, students for India are also eligible for applying for this scholarship. Now this was about government scholarships. Let's have a look at the popular scholarships offered by various universities of New Zealand. The University of Canterbury offers $10,000 to $20,000 in the form of UC International First Year Scholarship to the most-deserving international students who undertake an undergraduate program at the University. Applying for this scholarship is easy. All you have to do is go the website and follow the instruction. You must have a proof that you are a full-fee-paying international student and must be completing or must have completed on or after January 1 of the year before the year in which the scholarship is being applying for, a University Entrance-level test through which the student can get a seat into a UC UG degree program. No doubt the University of Canterbury or the UC is a reputed and well-known university of New Zealand. It also offers a Master's scholarship that can be bagged by full-time and part-time students that will engage in a qualifying project comprising some sort of research work (usually a thesis, dissertation, research project, performance or creative work). It covers the tuition fee for thesis at the UC at NZ domestic rates and is valid for 1 year. The University of Auckland is New Zealand's top-ranked university. Through the Asian Development Bank Scholarship, it seeks to aid international students who wish to undertake PG studies in economics, management, science and tech and such other fields. This scholarship is offered by other universities too. Since the University of Auckland is a participating university, international students willing to undertake PG students at the institution can avail the benefits of this scholarship. At the University of Auckland, the ADB scholarship covers Masters programs in the subject areas of Public Health, Science, Arts, International Business, Commerce and Engineering. This scholarship can be availed by international students who hail from a country which is a borrowing member of the ADB. Wanna know whether Indian nationals are eligible? Do your GK! Well, yes, they are eligible. Another reputed university in NZ, the University of Otago offers doctoral scholarship and seeks to aid international students willing to undertake doctoral studies at the university. A maximum of 181 students can get this scholarship under which an annual stipend of NZ$25,000 is provided to deserving students. Well, there is an endless list of scholarships provided by different universities of New Zealand. Almost all reputed universities have scholarships of some kind waiting to be bagged by international students. Doesn't this article seem relevant already? The question is why should one yearn to earn at all, when he must be slogging his hours in taking out the best from the education he's paying so much for. A lot of people think that one shouldn't work while studying because it costs you the valuable experience which he/she would've had otherwise. One of the best things about availing education at New Zealand, especially for students who love to remain self-dependent, if not entirely, to the maximum extent possible is the option of working while you study. Be told that all students on student visa can work up to 20 hours a week during semester and full time, about 40 hours during semester breaks and vacations. Thing with working while studying at New Zealand is, the work goes along with the studies. Why shouldn't you then, exactly be jumping at the opportunity of making some extra bucks to support yourself while you're busy studying overseas where the costs are high and so are the stakes. Trust me I am not exaggerating when I tell you that New Zealand is paradise for international students. I'll tell you how. In New Zealand, if you complete your course successfully, you're entitled to a 'work permit' which is valid for 12 months under the student visa policy, which is most usually done at the university you or your child will be studying in. This opens the doors to any job of your choice. But should you be willing to get a PR (permanent residency) of New Zealand, you must find a job that is relevant to the education you received at some university in New Zealand. For instance, if you've had a degree in IT engineering, working as a staff in some store won't work but working as a software architect in an IT firm can get you your dream PR. With this comes a 2-year work permit. And when you have this 2-year work permit, you are eligible to apply for a PR which on an average, you may receive within 5 to 6 months time. And boy, the benefits that you get if you are permanent resident of NZ will have you starving for it in no time. If you are a permanent resident of NZ, besides leaving and entering the country any number of times, becoming eligible to apply for citizenship, getting unrestricted rights to study, live and work in NZ, you aren't required to pay international fees (which is usually higher than domestic fee) but domestic fee. And of course, you'll be entitled to a plethora of benefits. Once you are full residents, you and your family becomes entitled to the benefits of a public welfare system like no other. Have you lost your job or can't work due to illness or accident? Do you need to save for retirement? Need help with accommodation? The government does it all for you. You may qualify for the Jobseeker Support if you're laid off, or can't work due to illness. As and when you qualify, you receive a Community Services Card which will help you with the costs of prescriptions and visiting the doctor. If it's because of an accident you met, the Accident Compensation Corporation may just pay up to something close to 80% of the taxable income you earned pre-accident. The Community Services Card, inter alia may have you eligible for many government subsidies and health benefits. The list is endless, once again. It seems the people of New Zealand have a heart for the others. You'll see. New Zealand waits for you. New Zealand is known throughout the world for its high education standards. There is diversity when it comes to education, just the way you want. If only you have a relative staying in NZ, he/she would tell you about the standards. Apart from the standards displayed by a handful of these reputed universities, there are schools that will suit your kid for his/her bright future. There are about just a little over 20 Institutes of Technology or Polytechnics that provide usually vocational or skilled-based courses, be it certificate level courses, UG or PG level. Apart from this, about 6 government-funded teacher training institutions exist here in NZ that make sure that the education standards remain excellent from the very root of it. Then there are private tertiary and training institutions that offer professional certificates, diploma courses and degree courses in a number of subject areas. And of course, catering to the need of people who are weak at communicating in English are a plethora of private English language schools the demand of which is high among nationals of all countries. Before you go to a country (except when you plan to invade it), you're supposed to ensure that you know how to get a visa and the related rules and regulations. You'll get a student visa if you are a full time student and this visa is valid as long as your tuition is paid (which lasts for one school year). But then there are ways to bypass this. If your education program has a MoU with the Immigration office, you may apply for a visa that lasts as long as the program. You may also apply for scholarship(s) through the university you're going to. Visa acquisition in NZ is quite an easy meat if you want it to be. The NZ Immigration Dept. never rejects a Visa outright, without you having a chance to explain, as against many other countries that are as strict as publishing houses – they don't mention the reason of rejection. If you can explain why you have chosen a particular course and if your story can create a meaningful SOP (Statement of Purpose), it'll help the visa officer and nothing shall stand between your visa and you. To wind up the article, let me talk about some of the most reputed universities of New Nealand. University of Auckland - Established in 1883, the University of Auckland professes Ingenio et labore as its motto which means "by natural ability and hard work". At present, it has 33,468 students enrolled. The University of Auckland is spread across not one but six campuses. Talking about the courses that people can undertake, there's the Faculty of Arts, Business School, Engineering, Law, Medical and Health Sciences, Science, Creative Arts and Industries. There also are two research institutes within its belt – The Liggins Institute and the Auckland Bioengineering Institute. It fares at 82 at the QS World University Rankings. Among notable alumni, you'll find names like Helen Clark (former PM, New Zealand and current administrator of the UNDP), Phillipa Boyens (academy award-winning screenwriter) among others. University of Otago - These NZ universities definitely must have had a highly paid advisor to advise on attractive working mottos, for the motto of University of Otago is "Dare to be wise" in English. It was established in 1869 and caters to the academic needs of over 20,000 students at present. Situated in Dunedin, this university is known for its library. University of Waikato - The University of Waikato operates from two campuses – the campus at Hamilton is spread over an area of 64 hectares; the other campus is at Tauranga. The University of Waikato has 7 faculties, name of Arts and Social Sciences, Computing and Mathematical Sciences, Education, Law, School of Maori (the local people and language) and Pacific Development, Science and Engineering, and Management. Massey University - says "let knowledge flourish" (motto). It admits a whopping approximately 35,000 students. Among notable alumni feature Kay Cohen, the famous fashion designer, Ross McEwan, CEO of The Royal Bank of Scotland Group among others. Established back in 1927, this university also is not confined within one campus but 3. University of Canterbury - It was established in 1873 and was previously known as Canterbury College. It is located in Christchurch, Canterbury and is houses approximately 15,000 students both national and international. It offers degrees in Arts, Commerce, Education (Physical Education), Health Sciences, Fine Arts, Forestry, Law Music, Social Work, Speeches and Language Pathology, Science, Sports Coaching and Teaching. Whoa!! That's so quite many of them. In a concluding remark, let me tell you that among students of law, these universities at New Zealand have been of much interest and have created almost of what we could call a buzz, especially if you're thinking about a master's degree in Law (LLM). So, what are you waiting for? Haven't we told you enough to get you confused on which of these super-premium institutes to choose from?